We managed to get a protected spot at Exuma Park and have been here for 5 days through the front passage. This is a beautiful spot and even though it is windy we have had a lot of sun and cooler weather. 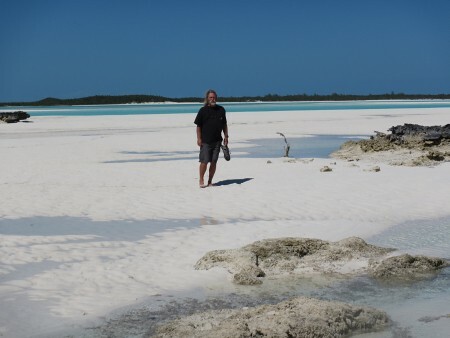 During that time we have volunteered at the Exuma Cays Land and Sea Park (Ed doing electric and programming and Tina painting signs), done some baking, watched DVDs and rocked and rolled. Luckily the squalls missed us but the high winds (gusting 25-30) have been with us for two days giving us a lot of electricity from the wind generator. 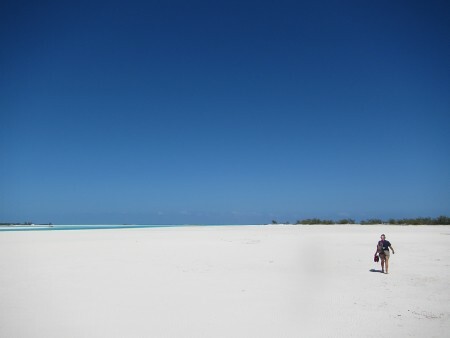 We hope to move on tomorrow morning to our last Cay in the park before we make the mad dash across to Eleuthera. We did visit Hawksbill Cay on Saturday, March 15. there are well preserved Loyalist ruins, trails throughout the island, moorings and an incredible sand bar at the north end of the island. We did sail the crossing to Rock Sound, Eleuthera and used the protected harbor and bad weather to rent a car and explore the island. We drove north and saw Govenor’s Harbor, the Levy Preserve and the Glass Window. 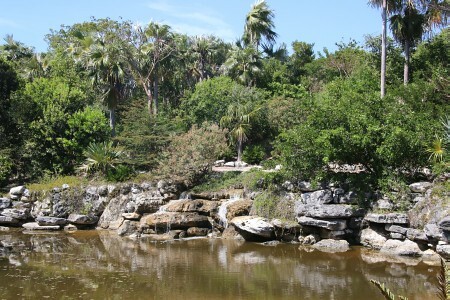 The Levy Preserve is a recently developed botanic garden with native plants, beautiful water features and an energetic sponsor and staff. The Glass Window is a very narrow spot on the island where the Atlantic has broken through to the sound side. 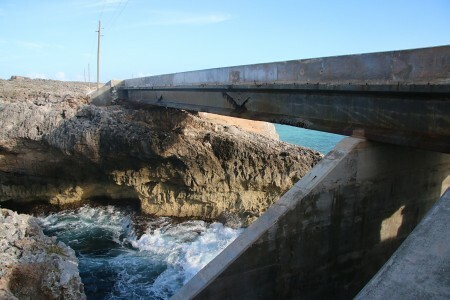 A natural rock arch was washed away long ago and replaced by a succession of bridges. It is a very cool spot but the bridge doesn’t look permanent. Then a week of waiting on weather to move but hopefully we will have better internet connectivity and some grocery stores. 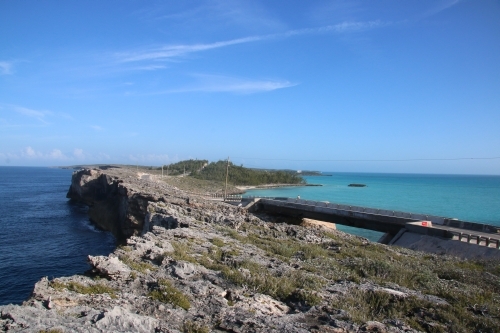 We crossed to the Abacos on Friday, March 21.